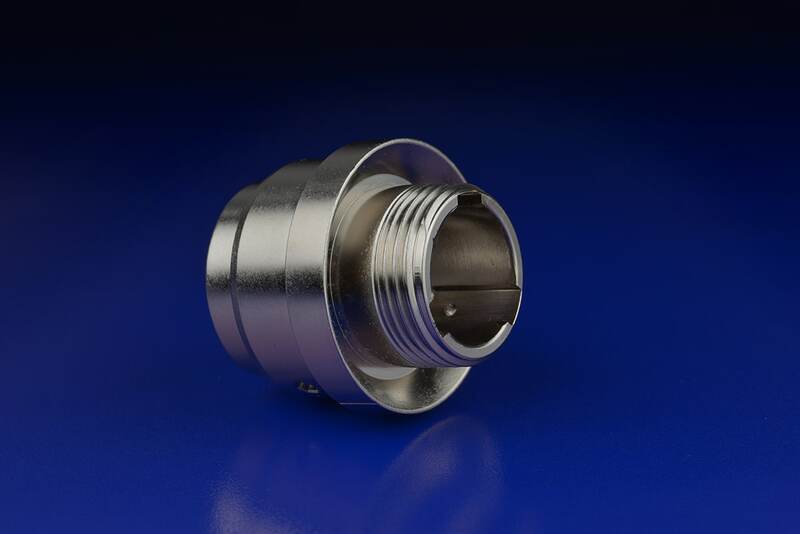 Electroless Nickel plating has become a very popular surface finish option offered by a wide range of suppliers, often with varying amounts of phosphorus content in the reducing agent. These variations are often referred to as Low Phosphorus, Medium Phosphorus, and High Phosphorus. Low Phosphorus usually has between 1-4% phosphorus in the chemical deposit, while Medium Phosphorus has between 5-9% phosphorus. Anything greater than 9% phosphorus is referred to as High Phosphorus. The variance of this phosphorus content in the Electroless Nickel plating deposit has significant impact on the mechanical properties of the deposit and the applications that deposit can be applied to. One of the greatest differences in the phosphorus content of the electroless nickel deposits is the physical hardness of the deposit. According to Ron Parkinson of the Nickel Institute, the hardness of electroless nickel is commonly seen to be between Knoop microhardness of 500-720, which is significantly higher than electrodeposited nickel, which has a Knoop microhardness of 150-400 HK100. This hardness range of electroless nickel can further be supplemented by heat treatment. While the hardness of electrodeposited nickel decreases with heat treatment, the hardness of electroless nickel increases significantly. The hardness of the electroless nickel deposit increases to the point of comparability to chromium plating deposits, with a hardness range of 940-1050+ HK100. The differences between electroless nickel phosphorus content can be explained as the density of the electroless nickel deposit decreases as the phosphorus content increases, which leads to a very minor decrease in hardness as the phosphorus content increases. Interestingly, this is reversed with heat treatment though. With a significant heat treatment, high phosphorus electroless nickel demonstrates the highest achievable hardness for electroless nickel. Another significant difference in phosphorus content of the electroless nickel deposits is the corrosion resistance of the deposit. This corrosion resistance is primarily due to the low porosity experienced with electroless nickel deposits and the resistance of nickel to most environments, both liquid and gaseous. It is found that lower phosphorus electroless nickel has more significant corrosion protection against alkaline or caustic environments while higher phosphorus electroless nickel has more significant corrosion protection against acidic environments, such as carbon dioxide and hydrogen sulfide. This variance of corrosion protection often has significant impact on choosing an electroless nickel deposit for applications where a particular corrosive agent is experienced. While Electroless Nickel has become a wide spread and commonplace surface finish, not every Electroless Nickel plating solution is created equal and the differences can significantly impact the performance of the deposit. This variance performance is primarily due to the differences in hardness and corrosion protections between deposits of different electroless nickel phosphorus contents.